Seattle fashion news, industry events, shopping guides, PR fashion tips, and more. 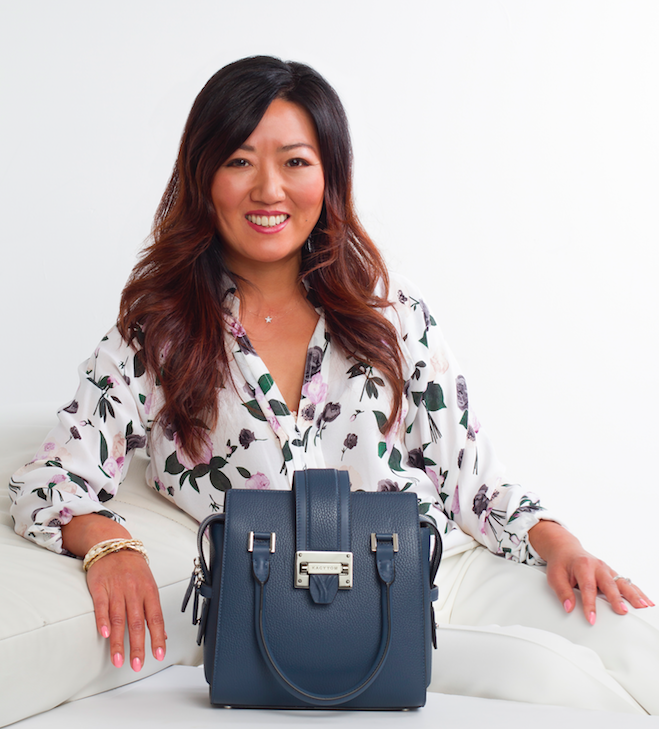 Seattle handbag designer Kacy Yom was recently featured in a Seattle Sunday Times story on 3 big spring trends you can wear right now. The round-up written by Andrea Dashiell covered a variety of major trends for the season including prints, color, and shine. Pictured above, Kacy Yom's Bo-Ah Tote in Marigold. Check out the full story and find out how to warm up your winter wardrobe here. 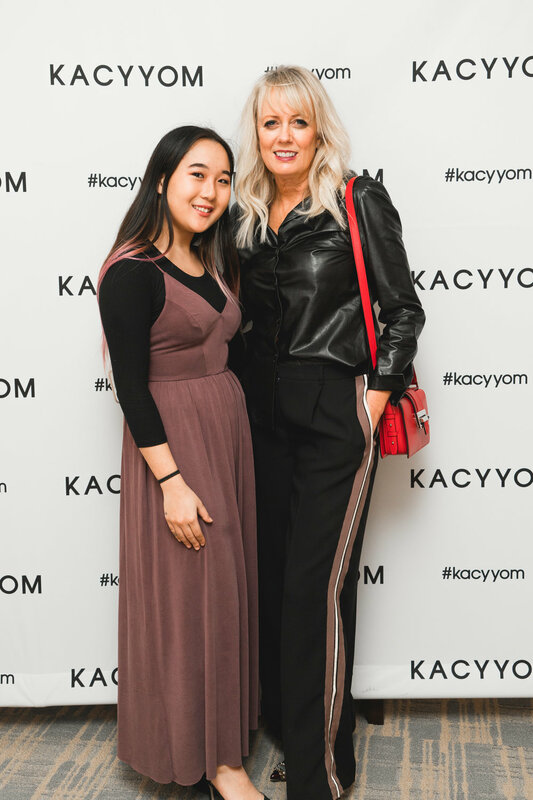 Seattle designer Kacy Yom recently partnered with The Spa at Four Seasons to host a private media event to showcase her debut collection of Italian leather handbags. Inspired by Yom's Korean heritage the line features structured silhouettes and clean design lines reminiscent of traditional Korean costumes. In a modern twist, each bag also features convertible details that are convenient for women on-the-go including removable straps to quickly take the bag from day to evening. The debut collection features 4 handbag styles and 1 matching wallet, available in multiple colorways. The collection is available online at www.kacyyom.com. Check out the full event photo gallery on the Gossip & Glamour Facebook Fan Page. Handbag designer Kacy Yom will host a series of trunk shows at Four Seasons just in time for Valentine's Day. Her eponymous line of Italian leather handbags launched last fall and the full collection is now available at The Spa at Four Seasons. Designed in Seattle, the KACYYOM collection is inspired by Yom’s Korean heritage and focuses on modern functionality and timeless craftsmanship. The debut collection named Soh-Lee (which means voice or sound in Korean) features four handbags and a leather wallet. Designed for modern women who lead busy lives, each bag features a structured silhouette and convertible elements for maximum functionality including detachable crossbody straps. The line is produced in a family-run factory in Italy’s Tuscany region where leather goods manufacturing is a time-old tradition. 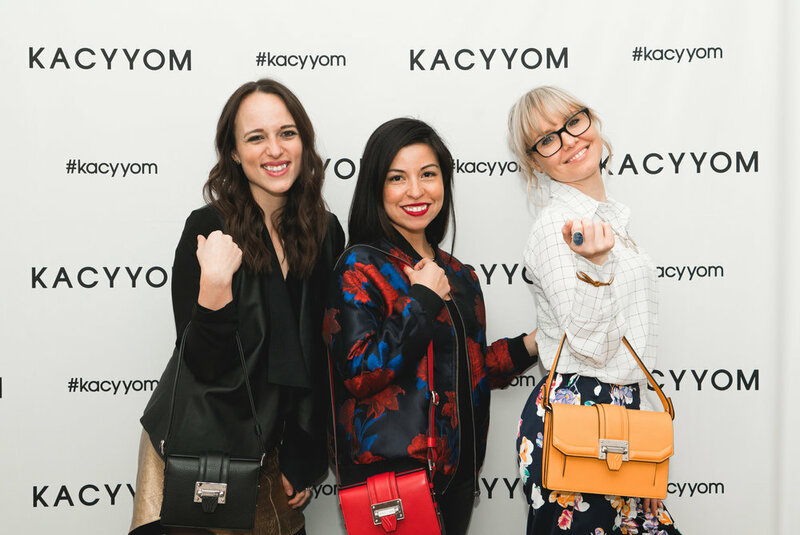 The KACYYOM Trunk Shows are open to the public and will take place at Four Seasons Seattle on Friday, February 9 and Wednesday, February 14 from 1 p.m. to 6 p.m. in the Maple Room. Guests will have the opportunity to meet Kacy and view the full collection. Prices for the collection range from $200 for the “Bit-Na” leather wallet to $1,100 for the “Bo-Ah” signature tote. Learn more at www.kacyyom.com. Time: 1 - 6 p.m. Copyright 2019 by Gossip & Glamour. All rights reserved. Fashion PR in Seattle. Gossip & Glamour is a boutique fashion public relations company based in Seattle, WA.